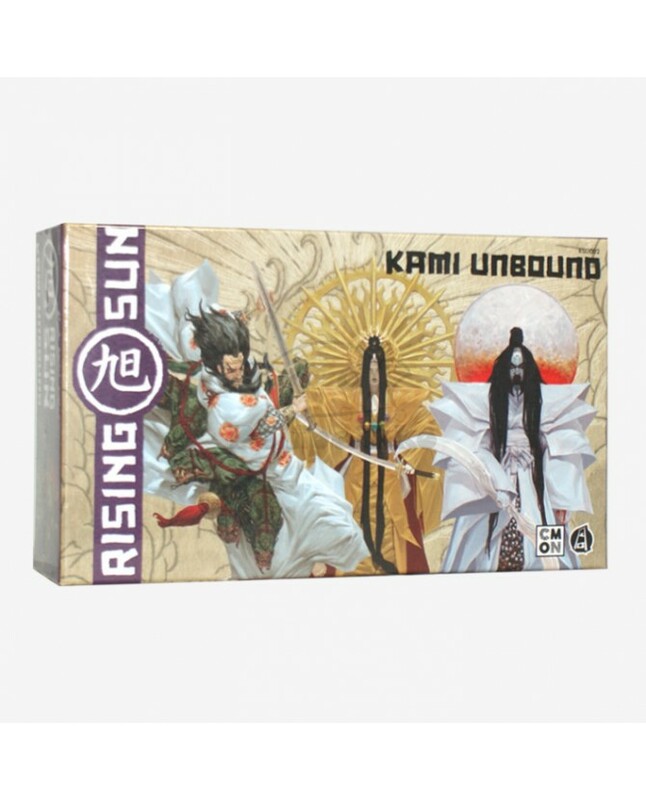 Kami Unbound is a new ruleset which makes the presence of the Kami even more potent and vital in Rising Sun! 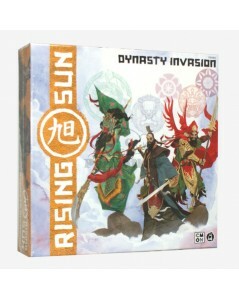 Normally, the influence of the Kami is restricted to the bonuses each of them grant during the Kami turn, granted to the Clan who has the most Shinto worshiping them. 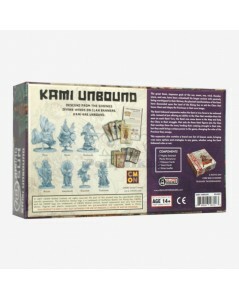 With Kami Unbound, the Kami will get their own figure, which starts the game in a specific Province. While no Clan worships that Kami, the figure just stands there, watching over the mortals' actions. 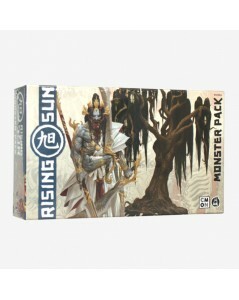 However, as soon as one of the Clans sends one of their Shinto to worship that Kami, they take its Kami power card (an all new component), placing it next to their Clan Screen to mark that they have the favor of that god. While you have the favor of a Kami, its figure basically counts as one of your figures. It can be moved when you Marshal and counts as 1 Force to your Clan when deciding Harvests and Battles. Also, being the powerful forces they are, Kami can never be Taken Hostage, targeted with Betrayal, or even killed! 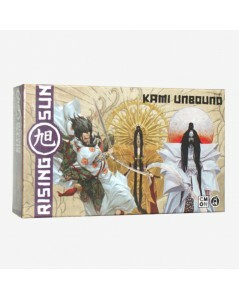 More than that, the Kami card lists a special power the player can choose to activate. In order to use the Kami power, the player must Consume one of the Shinto they have worshiping that Kami. In an overwhelming demonstration of faith, the Shinto is removed from the Temple tile and returned to your reserve (though not technically killed). 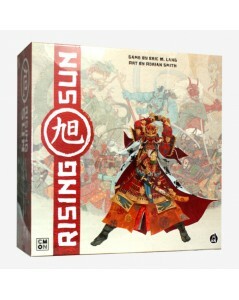 When this is done the power on the Kami card is activated, granting its controller its power!